Women are at the forefront of the creative movement in sport and culture. adidas wanted to start 2017 communications off with a powerful statement about these female athletes and how they use creativity to make a difference. Hard work isn't enough – our true power lies inside. To prove it, we brought 15 diverse women together. We celebrated everything these powerful athletes can do when they unleash their creativity. The film ran globally and featured 15 powerful female athletes from around the world. We intentionally crossed sports and cultures, from supermodel Karlie Kloss to WNBA MVP Candace Parker, or Muslim Kickboxer Ruqsana Begum. In order to reach our local markets in the best way, we optimized the film for specific regions. For China, we tapped incredible athletes like National Volleyball Captain Hui Ruoqi, actress Ning Chang, and even a contortionist. We then updated the language, as voiced by Ning Chang, to speak authentically on behalf of Chinese Creators. 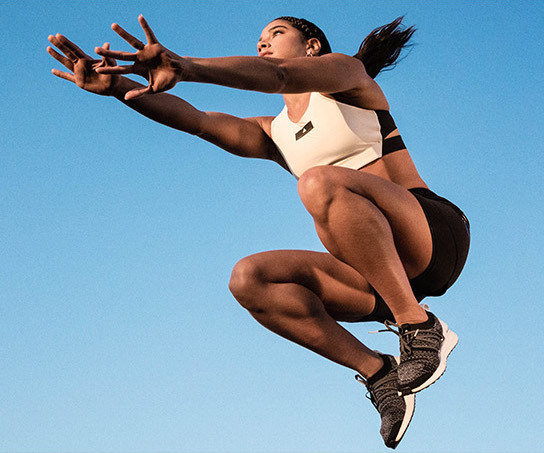 Short content featuring our biggest athletes hit on social, from Snapchat to Instagram. All aimed at inspiring athletes to get out and show how they're #heretocreate. Our film became adidas' most viewed video of all time – racking up over 35 million views. The campaign was picked up by over 25 publications with positive things to say. Especially about the fact that our's was the first global sports film to feature a woman in a hijab. It holds the record for most likes and most shares for an adidas video on social.